Phil’s father was killed before he was born and so he was brought up mainly by two women: his mother Audrey, and his grandmother, Elsie. Some of his earliest memories are of being perched up beside the kitchen table while Elsie, a small woman but very strong, kneaded bread or baked scones or warmed kippers – all the while telling him stories about what life was like when she was a girl. She described seeing the first aeroplane wobble through the air over Scarborough castle, and watching the young men march past the house on their way to the ‘Great War’. Like many women brought up in a strict Victorian household, Elsie was lenient and generous to her grandson. It was from her too that he gained an interest in plant lore and a sense of belonging to a long line of souls stretching into the distant past, to the place where History becomes simply Story. Phil’s mother was more of a gypsy by temperament. Twenty years old when Phil was born, Audrey was attractive with long red hair and a face that had something of a delicate Japanese cast about it. She loved dancing, and would have relished the opportunity to study music, dance and art. She could play the violin by ear, paint acceptable pictures and would occasionally dance in a way which owed something to ballet and something to the Moulin Rouge. The reality of her life is, she left school at 14 to begin working in a menial job. This was of course during what used to be called The Great Depression. Audrey remains a prime example of a woman with brains, beauty and talent who, for reasons beyond her control, never achieved the kind of education that would have enabled her to realize her dreams or her potential, and which would have liberated her. In this she is one of many. She did however, fight to obtain those things for her son. Phil recalls: “We were poor, especially after my mother decided to ‘go it alone’ by moving away from the family home. I realize that now, but it didn’t really matter at the time. There were a lot of other poor people too, all scratching to make a living. 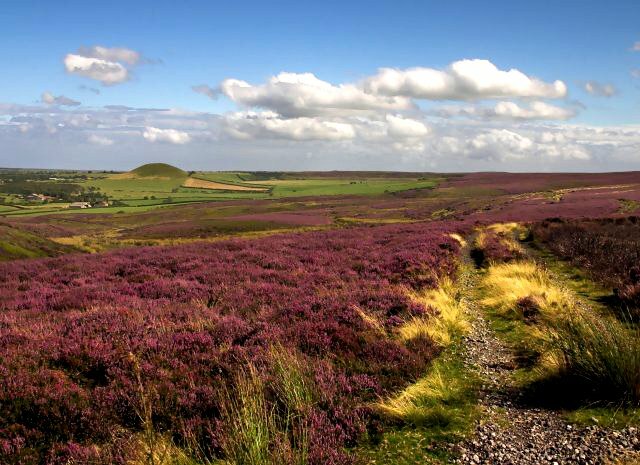 It was visits such as these that made the Moors seem an enchanted place. Later when Phil had a bike of his own he would cycle up to some private places and there settle down either in the shade of a stone wall or by one of the small streams or one of the tumuli, and just daydream. Once he got a fright when he heard a moaning in the valleys. It was joined by other notes creating a strange and very wild music. After a while he realized that what he was hearing was the wind being funnelled up the different small valley – but it sounded unearthly, especially as the sky was darkening and a storm was on its way. Failing the ’11 Plus’ led to sad days at home. He felt that is some ways he had let people down. A re-count was called for and it emerged that in those questions he had answered he had done well. But the result was not changed. He began to trim his hopes and think of a career in electrical engineering. Though Phil did not realize it at the time, his mother had 0ther ideas. She was determined that he would not suffer the same fate that she had – having to leave school before she had a chance to gain a real education. Somehow she found a scholarship that would pay the fees for Phil to attend Scarborough College so long as he could pass the entrance exam. And this time he did. He remembers little about it except one question which was to complete the following statement “Clear as …..” He wrote ‘mud’. He now reckons that the only reason he was accepted was because the marker had a sense of humour – but the story also illustrates a certain unworldliness, or an inability to understand how things are done. Scarborough College proved to be a good choice for, apart form introducing him to Latin and French, English literature, History and the sciences -all of which he enjoyed, it allowed Phil’s love of theatre to be given full rein. Under directors as inspired as Peter Burton, who taught English and John Lane who taught Art, the school embarked on annual productions of Shakespeare. Since being a very young boy, Phil had always expressed a desire to become an actor. He can remember creating little theatres under the kitchen table and there performing bits from films he had seen. Later at St Martin’s Primary school Miss Fewster, his form teacher, was enthusiastic about teaching via theatre and staged little plays in which Phil performed anything from animals to trees. Let it also be said that this ambition was one which his mother supported. Now, at Scarborough College, he was able to take roles as varied as MacDuff, Bollingbroke in Richard II, Antonio in The Tempest and the greatest challenge of all, Hamlet. At this time, coming close to the end of his school career, Phil was also attracted to what he thought might be a contemplative life amid ‘dreaming spires’. He sat for an open scholarship to a Cambridge college but failed to gain admission. But then, more or less in compensation, something rather strange happened. So, Phil accepted Stephen Joseph’s offer and, since he was close to leaving school, he set off down to London and auditioned for a place at the Central School of Speech and Drama. It was there that he was told for the first time in his life that he had a Yorkshire accent! “No,” he said, “It’s you what’s got the accent.” Despite this bit of cheek he was accepted. However there was uncertainty whether he could obtain a bursary.… and then something else that was rather strange happened. Well come on Phil, don’t keep us in suspenders. What did happen? Phil, we really, really want to know what happened next. Did you go to Central? Did they try to do stuff to your accent? Well Phil I know what happened next, you ended up with me, Mike Stott and a madman whose name I’ve forgotten who turned out to be a Subbhudist! It’s something like 54 years ago and as I’m sure you know SJ died in in 1957, leaving behind a profound influence on everyone who was fortunate enough to know him. I’m in contact with Paul Elsam, who wrote the book about him, Jo Tope and Andrew Sanders and the nucleus of a plan is beginning to gather momentum, to get those of us still standing from that privileged first intake of undergraduates at Manchester together to celebrate and honour the man and his legacy. You just beat me to it, Alistair! I too know what happened. Was Phil’s girlfriend for quite a time, when we were at Manchester. Have a clear recall of you, Mike Stott, Mike Rochester and Cathy at the house in College Road(?) and the flat in Rathen Road. Now living in Cheshire and heavily involved in theatre directing!! I have always remembered Stephen and have been heavily influenced by him and theatre in the round in my work. Lovely to discover Phil and Alistair on the web.